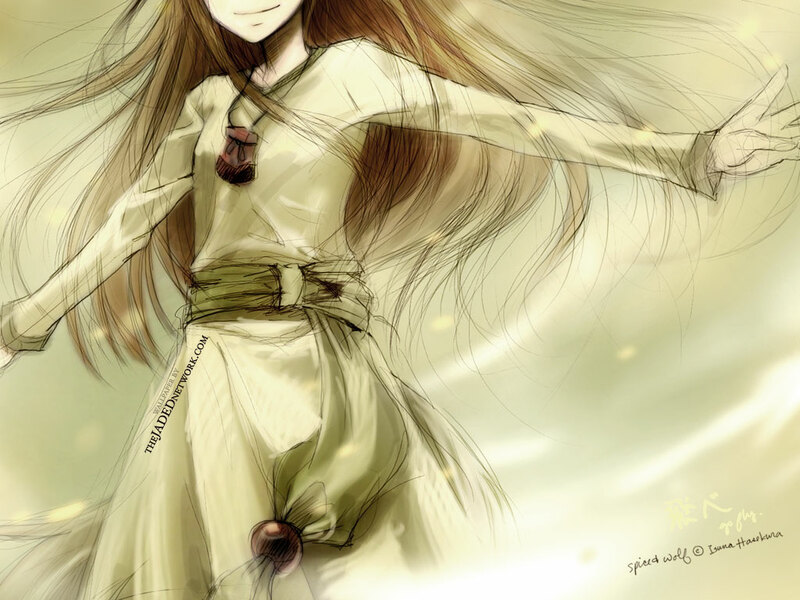 Spice and Wolf Wallpaper: ?? Minitokyo »	Spice and Wolf Wallpapers » Spice and Wolf Wallpaper: ?? I'm faster using tablet, so no vectoring this time :P. Missed brushwork. More resolutions @ theJADED Network! TJN Terms: For personal use only. Do not modify, use to create graphics, sell, publish, or redistribute. Click here for the TJN TOS Agreement. Browse Spice and Wolf Gallery: Recent | Popular. Ooo, I love sketchy-looking walls. Nice paint work. and this image is really a bad copy in my opinion, if youre gonna submit, atleast do it right and dont cut the image in the most bastardly places! The sketchy style looks awesome,the colors are perfect too,but there are two lines that go across her face ^_^'.It's no biggie though! Oh, that's beautiful, are you the one who draw it? Wondrous, I saw the original image from the anime, and yours is 100 times better! this is a really nice picture of holo! AWwwww! I love The ScanEE! I is SOO Cute! LOVe It! oohh, sketchy, but prettttty =D thanks for sharing! Szkoda ?e brakuje tu twarzy, cho? wiem ?e w?asnie tak mia?o by? Ahhh..I love the style of this wall..sketches are always better than vectore imho.. Thanks for sharing it ... I'm grad to find this item !